Administrator Permissions are necessary for any employee that will be accessing the Management Console ([yoursubdomain].revelup.com). This could be your owners, managers, accountants and any other employees responsible for inputting or viewing data in the Management Console. Setting up Administrator Permissions is a 2-step process. 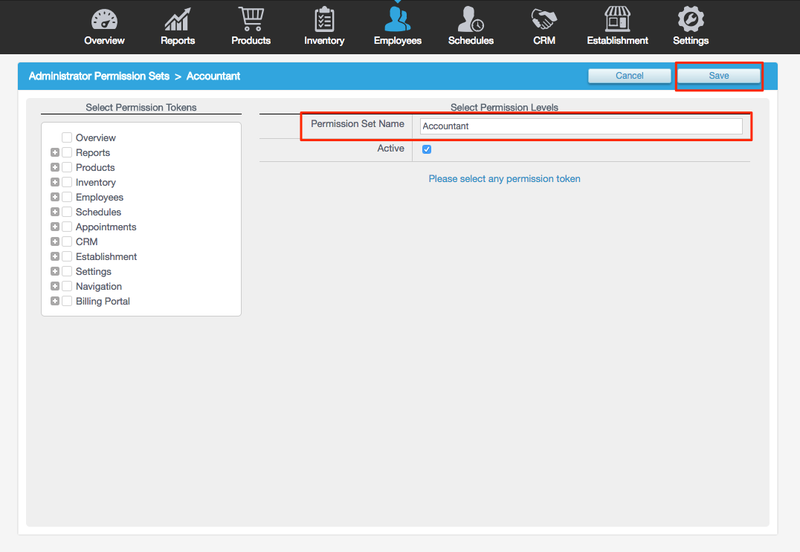 First, you'll create the Administrator Permission Sets and then you'll assign those sets to specific employees. 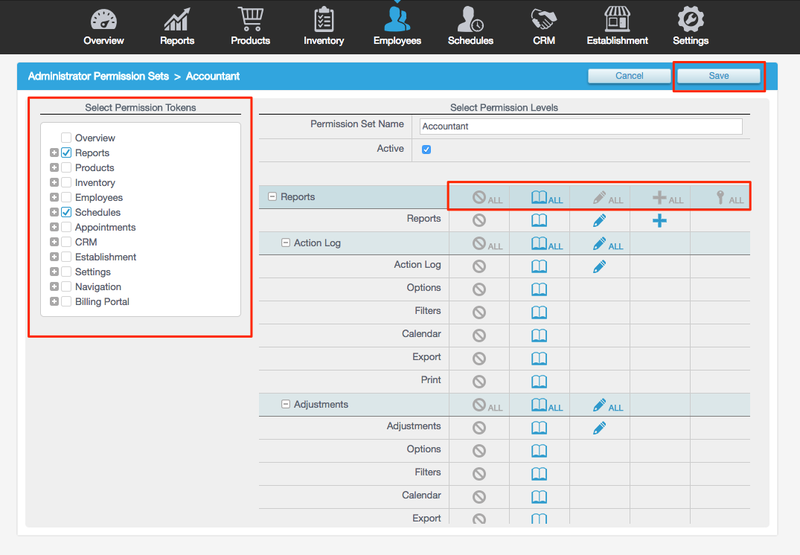 In the Management Console, click the Employees tab and then click Permissions from the left. In the Permissions page, click the Management Console Permissions button. Next, from the left side menu, check all Management Console tabs this set will grant permission. From the right side, you can grant the amount of access and specific function the set grants permission. The book icon grants read only permission, the pencil icon grants editing permission, and the plus icon grants permission to add new data. The key icon is only used for EMS access. If there is a specific field that you want to prohibit access to in the set, make sure the no icon is highlighted for that area. For instance, you may want to prohibit access to wage details or other sensitive information. Scroll to the Administrative Permissions section. Create a username for the employee. This is the username they will use to login to your Revel URL. The username needs to be unique for each employee and it is case sensitive, so if it contains a capital letter, the username will need to be capitalized upon every login. Next, enter the employee's email address. Check the EMS Access box if you have multiple establishments and would like the employee to have EMS management capabilities. Create a password for the employee. This is the password they'll enter every time they log into the Management Console. When you have filled out all fields, click Save. After saving, the screen will take you back to the main Employees page. From here, click the action icon for the same employee. Click Save. Once the changes are complete, you'll see a Saved Successfully! notification appear in a green bar. Lastly, be sure to give your administrators their login and password information so they can login and use the Management Console.